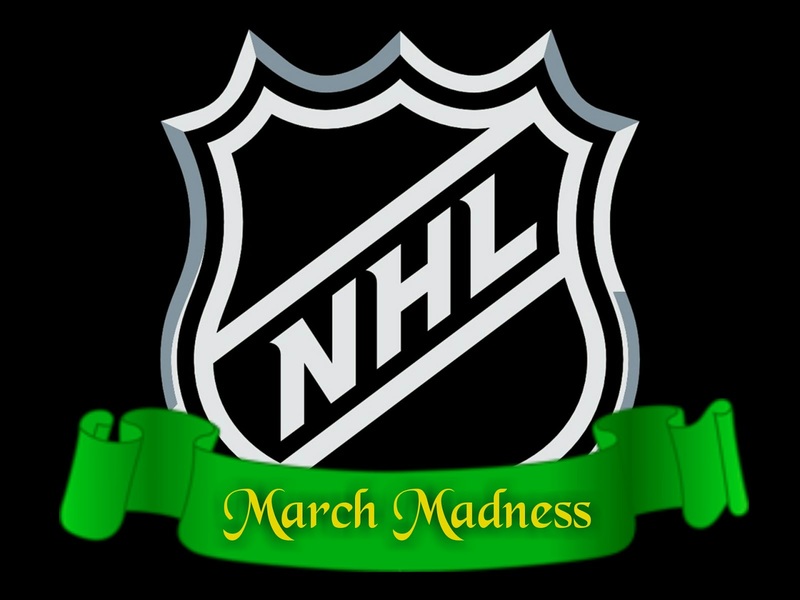 The NHL trade deadline has passed and March has arrived. For some, this means getting brackets prepared for the NCAA basketball tournament. For hockey fans (and teams in the playoff hunt), March Madness has an entirely different meaning. March in the NHL is a time that could make or break an entire season. This is not the time to have the injury (or disease) bug bite or to go on a losing streak. The second the calendar flips, every point matters if a team hopes to make the post season. For the Pittsburgh Penguins, the madness began with the first of three sets of back to back games. They would lose 3-2 versus the Dallas Stars on February 28 and then again to the Chicago Blackhawks on March 1 by a score of 4-1. As the month continues, the Penguins will play a total of 16 games within a 30-day span. Only five of those games are against Metropolitan Division opponents which is quite a difference from last year. In 2016, 12 out of the 16 games in March were against division teams. While the majority of teams being played against may come from outside the division, each game carries weight in a tight race within the Metro. As of Tuesday March 7, the Washington Capitals hold the division lead with 95 points and, barring any team collapse, are sitting pretty for another Presidents Trophy. They are sitting pretty, but as of now, are not untouchable. The Penguins are (once again) tied for third with the New York Rangers. Both teams command 88 points. With a win over the New Jersey Devils, the Columbus Blue Jackets broke the second place tie and now sit alone in that spot with 90 points. Both CBJ and the Penguins have a potential 26 points up for grabs in the month of March. The NY Rangers and Washington Capitals have 24. It is unlikely that all four of these teams will win every one of their games this month. It will come down to the tail end of the season as to who places where. Another point that matters is the topic of Justin Schultz. Schultz's transformation from arguably the worst defensemen in the NHL to seemingly one of the best is nothing short of wondrous. Head Coach Mike Sullivan is playing to Schultz's strengths and it is paying off more than it could have ever been thought possible. Though Schultz was on a bit of a point (and goal) drought in the past eight games, he still stands (tied for) fifth in the league in points (44). His +/ - rating of +28 is good enough for eighth overall in all situations and fifth amongst defensemen. 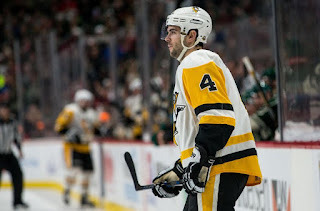 His playing ability and his confidence have improved so much that General Manager Jim Rutherford has gone on record stating that Justin Schultz has become a "priority" to resign over the summer and rightfully so. He has developed into a quality top- 4 defenseman in the Penguins' system and will be an asset to the defensive core as long as he can keep up this same level of play. That high level of play will be needed across the board as the season wears on. The team will have to hold the fort as the prognosis of defenseman Kris Letang's injury as being worse than once perceived keeps their best defenseman out of the line-up with no timeline for his return. The Penguins start on a five road game stretch beginning Wednesday March 8 against the Winnipeg Jets. Their last meeting was a little less than pleasant and saw the Penguins lose both Olli Maatta and Justin Schultz to injury. Schultz would return a few games later after going through proper concussion protocol. Maatta underwent hand surgery and will not re-join the team until the playoffs. 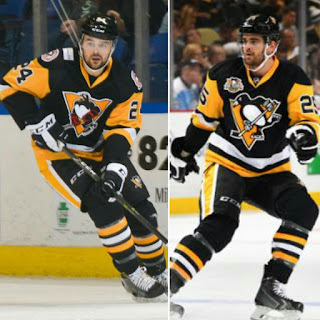 Due to the chippiness that ensued in their last bout (which included Evgeni Malkin laying a booming hit on the Jets' Blake Wheeler), it was announced early March 8 that the Penguins had recalled two players from their minor league team in Wilkes Barre: defenseman Cameron Gaunce (to replace Derek Pouliot), and the big, hot tempered forward, Tom Sesitio. The Penguins will continue to be without the aid of defenseman Trevor Daley and forward Bryan Rust down the stretch. Both have been out of the line up due to sustaining severe injuries. Rust, however, has begun skating on his own which gives hope to him being back to playing sooner than expected. Daley remains week-to-week. March-ing down to the end of the regular season is taxing on both player and fan. The winds of fortune or the dealing of a bad hand can change everything in a short period of time. Grab your stress ball (or a puck or pillow or as I have, an "Oh S**t!" brick) and settle in. As the saying goes "may the odds be ever in your favor".